It’s that time of the year! 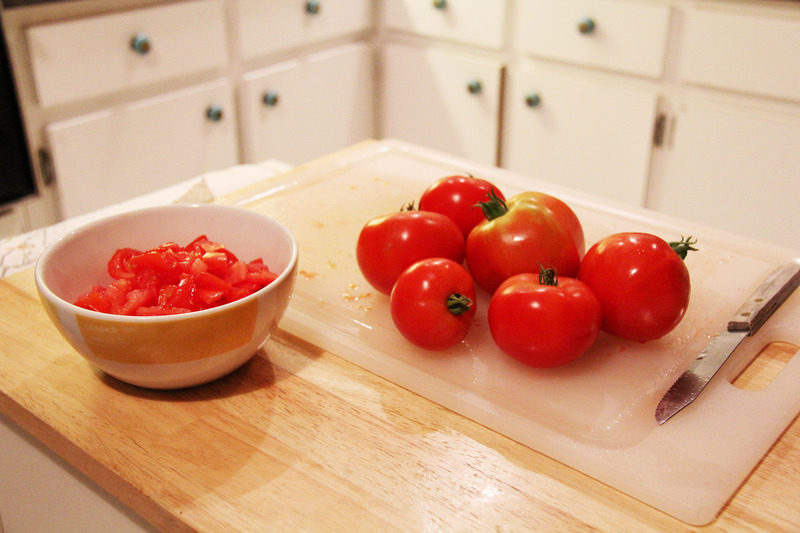 The time when our tomatoes are coming up in the garden, and more importantly…time for fresh pasta sauce! 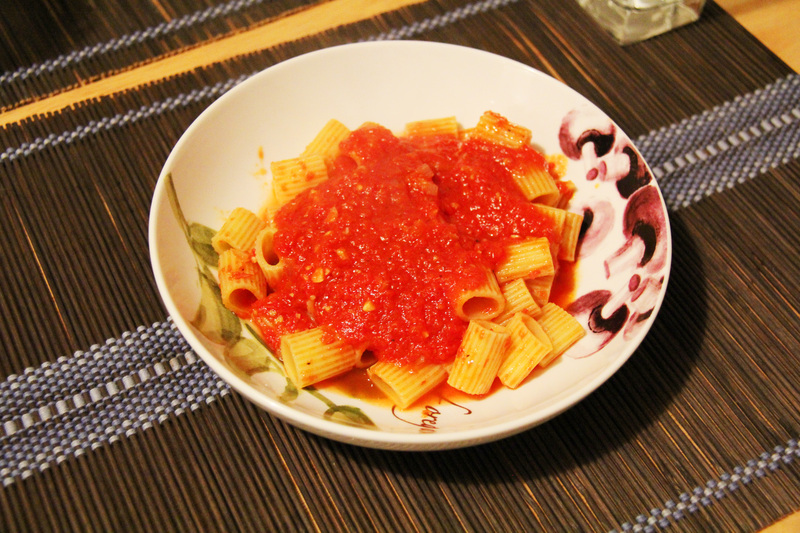 I typically make my own homemade sauce (carrying on the family tradition) all year long using cans of tomatoes, but there is something about those fresh tomatoes that really make the world go ’round. 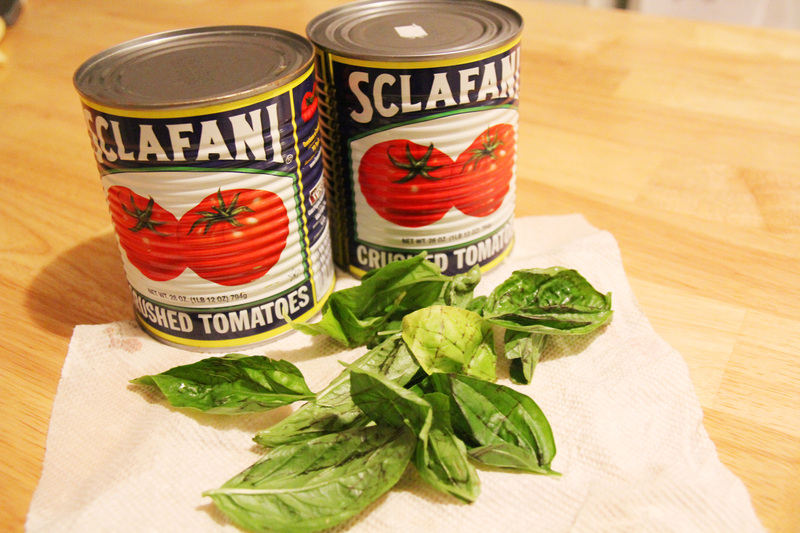 I have tried both all fresh and all canned versions of this recipe, but my preference is actually a 50/50 method of half fresh, half canned. For some reason, that packs the best punch of flavor in my book, and it’s just the perfect combo for an amazing sauce. The recipe is quite simple. Most of it is all about taste and preference. I hardly measure anything, and I kind of pinch and throw in as I go. First prep the fresh tomatoes by dicing them up to remove all the seeds (the more seeds you have the more bitter the sauce is, so I remove them all from the fresh tomatoes). Then, you can either put them in a food processor to blend or keep them as is (again your preference of texture!) and put them aside. Saute the garlic and onions in the olive oil in a large pot on medium heat for a couple minutes or until the onions are translucent. 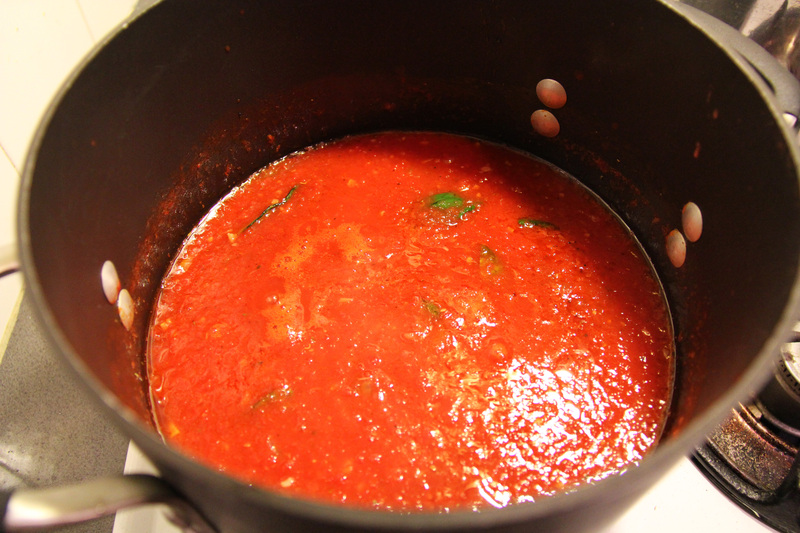 Add the fresh tomatoes and the can of tomatoes to the pot and stir, stir, stir. Lower heat so it’s not popping bubbles of sauce all over the kitchen. Next, stir in the basil, salt, pepper, extra Italian herbs, and sugar to taste. Let it sit, stirring frequently, and tasting frequently. You may find you want to add a few herbs, a little more sugar, etc. as it cooks. You can really cook it as long as you want. The flavors will change a bit as time wears on, and you may want to add more to it. I am all about the quickness, so unless I have a very large pot of sauce, I don’t really cook mine for more than 20-30 minutes. I am usually just cooking for two, so it can cook pretty quickly. 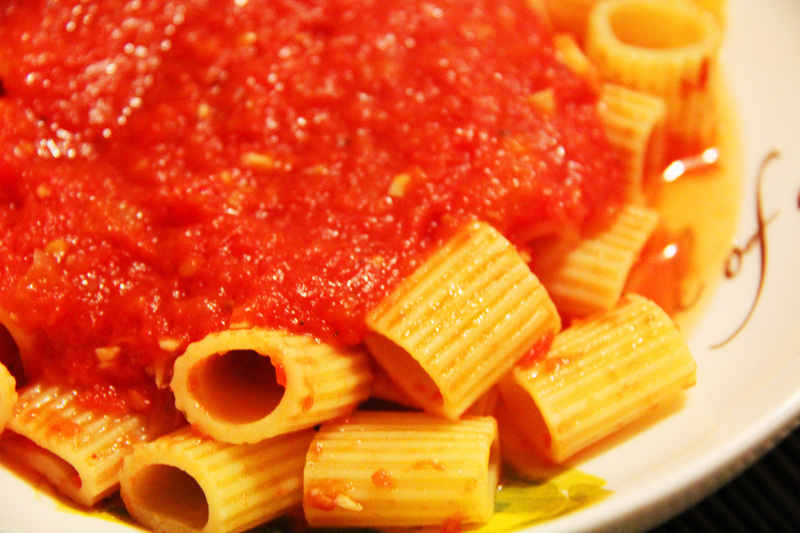 Boil up your favorite type of pasta while you are waiting for the sauce. Once the pasta is ready, drain it, and coat it with a few large scoops of sauce so that it doesn’t dry out and stick together. Serve it up in bowls, and add as much extra sauce as you like! I top mine with grated Locatelli Romano cheese as well, and voila! Dinner is served.